Although, I would not relish a world without music, poetry, art. conscience, heart, friends, or books, you get the feeling of how important well-prepared food is to our existence. Julia Child even went on to state that every significant step in human progress was always accompanied by a positive change in how we grew, processed, prepared, served and consumed food. Since the first mastodon steak was seared over an open flame, men and women have yearned for and appreciated the process of cooking and those who have a knack for it. Today, chefs are significant players in the evolution of a culture and the protectors of the traditions that make a society unique. It is, after all, that indigenous food and traditional preparation that helps to give a group of people their unique identity. 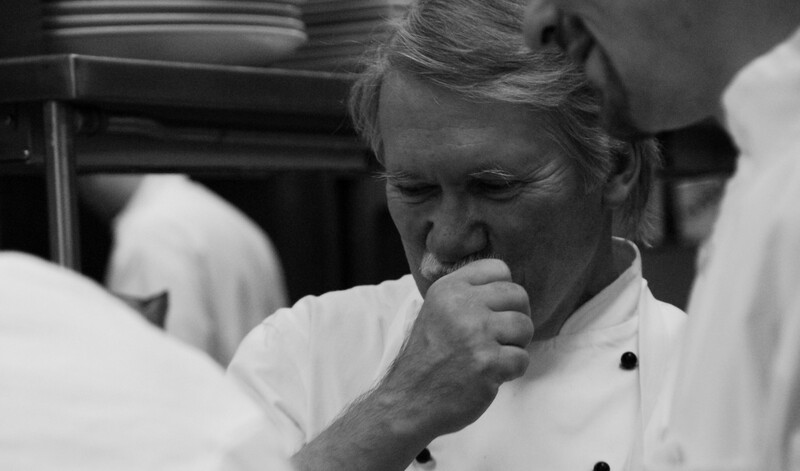 I have often said that cooking attracts unique spirits, and through my experience, people don’t typically choose to become cooks and chefs, the profession chooses them. There is a destiny factor that seems to universally apply to all who make a decision to spend their life on their feet, bent over a pit of fire, sweat rolling off their brow, blisters and cuts from the tip of their fingers to the edge of their elbows, and smelling of today’s catch or yesterdays garlic. These warriors of the kitchen are focused and passionate about what they do. They sacrifice a “normal” life for one dedicated to creating wonderful tasting dishes for each of us to savor and enjoy. It is this commitment to creativity and service that makes today an important time to pause and give them thanks. Chefs and cooks are very generous people who will give freely, over and above their job requirements, to those in need. Cooks and chefs are involved in fundraising dinners, spending a day off at a local soup kitchen, cooking for appreciative friends, tipping way over the norm when they get a chance to go out for a meal, and helping others to understand the importance of handling food in the proper way. Chefs and cooks take their work so seriously that operators need to demand that they take the day off if they are not feeling up to par. They would work through anything because they know they are needed. Professional chefs and cooks take the health and wellbeing of the guest very seriously. Chefs and cooks get excited over coworkers achievements and show their support of each other. Professional chefs and cooks respect hard work and dependability above all else and show no interest in what color, race, gender, sexual preference, size, age or beliefs accompany a person. If they are there when they need to be and work hard, then nothing else matters. Professional chefs and cooks respect the ingredients they work with and the work that went into getting those ingredients in their hands. Escoffier, Careme, Point, Bocuse, Boulud, Ducasse, Meneau, Waters, Bastianich, Batali, Ripert, Folse, Shire, Child, Beard, Verge, Kaysen, Metz, Carroll (all three), Keating, Russ, Hardiman, McQuinn, O’Donnell, Swaney, Hemm, Parsons, Bivins, Mahe, Soulia, Schempp, Hugelier, Schimoler, Pecoraro, Beriau (both), Allen, Faria, Higgins, Flory, Czekelius,Connolly, Zuromski, McBride, Hoffman, Wright, Prouten, Langan, McCully (both), Steffan (both), Franklin, Pantone, Dunbar, Leonard, Costantino, Beach, James, Winfield, Virkler, Masi, Gerard, Duhamel, Barton, Michaud, Porter, Borden, Johansson, Samuelsson, Barber, Lynch, Danko, Burnier, LeBorgne, Lee, Leigh, Alford, Kruse, Koetke, Sonnenschmidt, Roche, Rosenweig, Silverton, and hundreds of other cooks and chefs who I have admired, worked with or worked for. 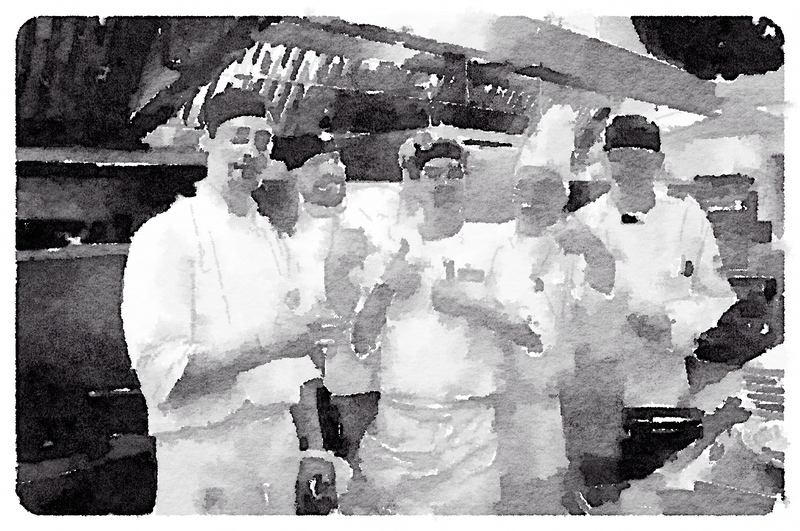 A tip of the chef’s toque on National Chef Appreciation Day. Who do you appreciate? ← WHERE ARE ALL THE WOMEN CHEFS?